Congrats, you've made it to Friday! A few morning showers are expected with the possibility of some isolated thunderstorms later in the day. Highs will soar into the low 80s. As always, get the latest forecast at nbcnewyork.com/weather. New York City is expensive, but did you know toothpaste in the Big Apple costs three times more than it does in Texas? A new study about the costs of the most frequently purchased grocery items in the U.S. shows in Manhattan we pay 140 percent more for some items than the nationwide average. Brooklyn is not far behind. Some of New York's most expensive items include tissues, lettuce, orange juice, frozen meals and ground beef. 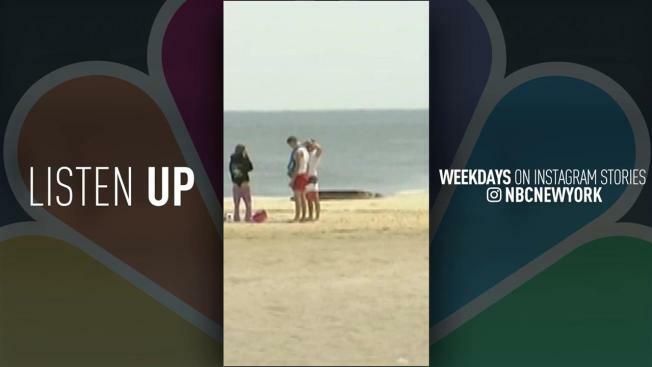 A beach in New Jersey continues to be off limits after the state's Department of Environmental Protection found a high level of bacteria caused by an overflow in raw sewage. The beach along the Shark River in Belmar has been closed since Memorial Day because contact with the water could put beach-goers at risk of getting sick or developing a rash. Initial water tests found bacteria was twice the safe swimming standard. Officials hope the beach will reopen this weekend. Local fans of Sears and Kmart stores may soon have to find a new place to shop. The parent company of the department stores chains announced it will close 72 stores nationwide. For Sears stores and three Kmart stores in New York and New Jersey are among those that will close. The closures are a last ditch effort for the retailer to restore its revenue after experiencing a long-running sales crisis. Read more here. For a full list of stores closing click here. Friday is National Donut Day and places are giving away free donuts all over the region. That includes Krispy Kreme and Dunkin Donuts. However, if you want authentic New York City donuts Underwest Donuts will be handing out free Brown Butter Funetti donuts by Penn Station and Doughnut Plant will be debuting a special Grand Central mini donut inspired by the terminal's celestial ceiling.